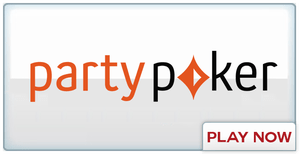 There’s been an important change to our Poker product, which went live as of 1st August 2017. The Loyalty Club replaced the old VIP Scheme. All new players begin on Bronze level. Players must earn status points to complete the required number of ‘Loyalty Steps’ within a monthly qualifying period to progress through the levels. Hence, Players collect 10 status points for every €1 or £1 paid in rake/fee. All progress is reset if the player does not reach a new loyalty level before the end of the qualifying period. Lastly, Steps become harder to complete as players progress through the levels. 15 bronze steps are the equivalent of 5 silver steps. For each completed loyalty step, players are rewarded with bet365 Coins. The player progresses through the levels and earns more coins. The player spends bet365 Coins in the Store when the player has accumulated enough to purchase a reward of their choice. Lastly, loyalty levels dictate rewards. Players are presented with a list of Loyalty Missions in the client. They select one and attempt to complete it within the month. Players can only work on one Loyalty Mission at a time. Once the player complete their chosen Mission they are presented with a new list of Missions. All Missions will be the same as before except for the one they completed which will be replaced with a Mission of the same game type with increased difficulty and higher reward. 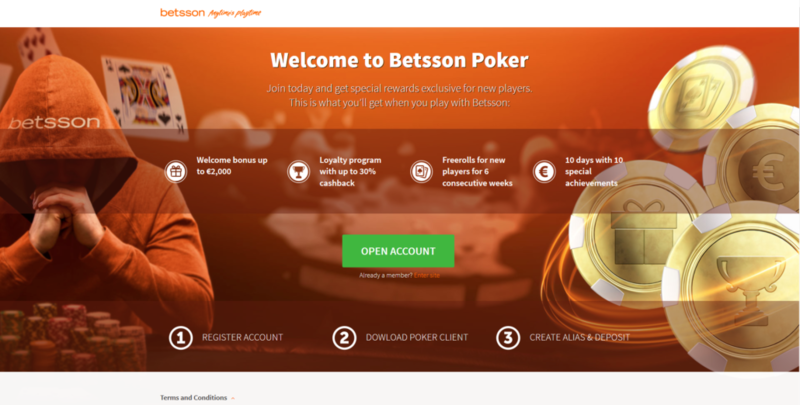 The store can be accessed via the Poker software (download, native and mobile web). Open an account with Poker at bet365 and you’ll get a Welcome Package of up to €365, a Welcome Prize Wheel spin, €1 Twister ticket, five “€100 Bronze Loyalty” tournament tickets and access to daily Welcome Missions. Grab a Perfect Pair to earn a spin on the prize wheel and be in with a chance of winning up to €1,000 cash! Receive up to two spins on the Perfect Pairs Prize Wheel each time you complete a Step. The Perfect Pairs Prize Wheel offers cash prizes, bet365 Coins, freeroll tickets and Twister tickets from spins during weekly qualifying periods between 1st April and 2nd June 2019. Press ‘Start’ at the beginning of each weekly qualifying period and receive a spin on the Perfect Pairs Prize Wheel each time you complete a Step. You can receive up to 16 spins on the prize wheel during each weekly qualifying period. Prizes include €1,000 cash, bet365 Coins, freeroll tickets and Twister tickets. You can view all Steps in the Missions section of the poker software. Click here for Significant and Full Offer Terms and Conditions. Play for prize-pools worth up to 1,000 times your buy-in! This revolutionary form of poker offers an added dimension of fun. Try Twister Sit & Gos now for as little as €1! The available prize-pool is decided at random and displayed before each Twister Sit & Go begins. The prize-pool amount is equal to your buy-in amount multiplied by one of the following factors: two, three, four, five, 10, 100 or 1,000. Prize-pool is determined at random: up to 1,000 times your buy-in amount. Twister Sit & Gos are played at a fast pace. Fun and exciting: it’s different from all other kinds of poker. Twister Sit & Gos start with three players and the winner receives all the available prize-money if this is less than €1,000. When there’s €1,000 or more to be won, the winner receives an 80% share and the other two players receive 10% each. Win the €800 top prize for a buy-in of just €0.50! This special kind of super-fast Sit & Go is exclusive to Poker at bet365. Defeat your two opponents in each tournament and progress to the next step. Premium Steps are available on Mobile Poker so you can join the action wherever you like on your preferred device. Download the app and play now! You can enter any Premium Steps Sit & Go by paying the relevant buy-in. Tournament Tickets won in Premium Steps can only be used to enter further Premium Steps with the corresponding buy-in amount and, if unused, expire two months after they are credited. Finally, the exclusive VIP Scheme is Poker at bet365’s way of rewarding you for playing poker. All players can easily participate and those who play more regularly can receive progressively greater rewards. To earn Merit Points, you must fulfil either of the following criteria in real money poker: contribute chips to any pot from which rake was taken on a cash table or pay a fee for entering any Scheduled Tournament or Sit & Go. You earn points at a rate of 15 for every €1 or £1 of attributed rake or tournament fees. Therefore, to qualify for a VIP level, you must earn the required number of Merit Points in a calendar month. To claim Cash Rewards, Bonus Rewards and Tournament Token Rewards, you must be in the appropriate VIP level or higher. You must also have been in the required level, or higher, for the preceding three months. Following a successful claim for any of the following rewards, the required number of Merit Points is deducted from your balance: Cash Rewards, Bonus Rewards and Tournament Token Rewards. To release Bonus Euros credited as a result of a successful Bonus Reward claim to your Poker balance, you must earn Merit Points. The size of each instalment released, and the required number of Merit Points to release each installment, varies according to which reward you claim. Bonus Euros expire if you don’t release it within 30 days after you get it to your account. To claim a €500 Loyalty Reward, you must be in the Platinum VIP level at the time you make the claim and you must have been in the same level for the preceding six calendar months. You must make claim by 23:59 GMT on the fifth day of the relevant month. You can use all calendar months up to and including September 2018 as part of a Loyalty Reward claim. Any month can only be used as part of one successful claim. Claims must be made by October 2018 at the latest. For a VIP Reward claim to be successful, you must provide the following details matching exactly those held in your account: Username, password and email address. If you pay no rake or tournament fees for a period of 13 weeks, you will lose your entire Merit Point balance. Regardless of your activity, unused points expire after 12 months. Throughout May bet365 are giving players the chance to become a hat-trick hero and net themselves a share of prizes worth over €100,000! Players can take a choice of two daily challenges to get rewarded. Players can score goals to gain entry to daily €500 and €1.000 All-In Shootout freerolls. They can then complete a hat-trick to get Cash Game tickets and General Tournament tickets. As well as the above players can tackle weekly tasks to enter a €10,000 All-In Shootout every Sunday. Promotion runs from 00:00 GMT on 1st May 2017 until 19:59 GMT on 4th June 2017. The promotion has daily qualifying periods which run from 00:00 GMT until 23:59 GMT each day. However, the final one runs from 00:00 GMT until 18:59 GMT on 4th June 2017. The promotion has weekly qualifying periods which run from 20:00 GMT each Sunday until 19:59 GMT the following Sunday with the exception of the first one, which runs from 00:00 GMT on Monday 1st May 2017 until 19:59 GMT on Sunday 7th May 2017. In order for play to contribute towards mission completion, you must press the relevant Start button, located in the Missions section, within the relevant qualifying period. Complete any mission within the corresponding qualifying period to get the relevant reward. For details, see relevant missions below. The €1,000 Hat-trick Challenge freeroll takes place at 19:00 GMT daily. The €500 Hat-trick Challenge freeroll takes place at 19:30 GMT daily. The €10,000 Hat-trick Challenge freeroll takes place at 20:00 GMT on the following dates: 7th, 14th, 21st and 28th May 2017 and 4th June 2017. For details, see Full Terms and Conditions below. Tournament Tickets for entry to a freeroll can be used to enter any relevant freeroll. Furthermore, If unused, expire once registration for the final relevant event closes. General Tournament Tickets can be used to enter any Scheduled tournament or Sit & Go with the corresponding buy-in amount and, if unused, expire 14 days after being credited. Cash Game Tickets can only be used on real money cash tables which contain the word ‘Premium’ in the table name via the Poker software. If unused, Cash Game Tickets expire 14 days after they are credited. For details, see Full Terms and Conditions below. Throughout April right up until June 4th bet365 are giving the players the chance to win their share of over €65,000 when dealt suited connectors. Be dealt suited connectors to enter daily €1,000 ‘All-In’ Shootout freerolls. 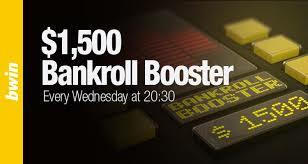 Players can then book their seat in €10,000 ‘All-In’ Shootout freerolls by completing weekly missions. Players can get an additional weekly Tournament Ticket when you complete a further mission. All players need to do is press the Start button in the Missions section before completing any task. Details can be found in the Missions section within the Poker software. Once credited with a Tournament Ticket, make sure you register for your chosen freeroll. Promotion runs from 00:00 GMT on 3rd April 2017 until 19:59 GMT on 30th April 2017. Daily qualifying periods run from 00:00 GMT until 23:59 GMT each day except for the final one. Weekly qualifying periods run from 20:00 GMT each Sunday until 19:59 GMT the following Sunday except for the first one. For exceptions, see Full Terms and Conditions below. Complete any mission within the corresponding qualifying period to get the relevant Tournament Ticket. For details, see relevant Missions table below. The €1,000 Premium Suits freerolls take place at 19:00 GMT daily. The €10,000 Premium Suits freerolls take place at 20:00 GMT on the following dates: 9th, 16th, 23rd and 30th April 2017. For details, see Full Terms and Conditions below. Required hole cards are stated in the table below and must be dealt on No Limit Hold’em cash tables. Tournament Tickets for entry to a freeroll can be used to enter any relevant freeroll and, if unused, expire once registration for the final relevant freeroll closes.